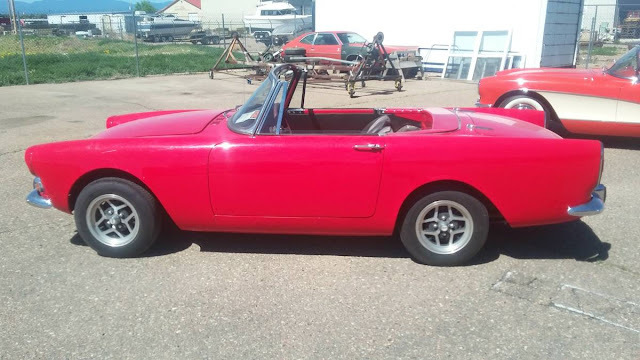 The Alpine was released in 1959 as part of the Rootes Group offering in their Sunbeam brand, but it used a modified floorpan from a Hillman Husky sedan but with a stylish convertible body. A few years later the Alpine got legs when the Tiger version was released with V8 power, but those are now traded between wealthy collectors and now regular folks have to settle for the 4-banger version. 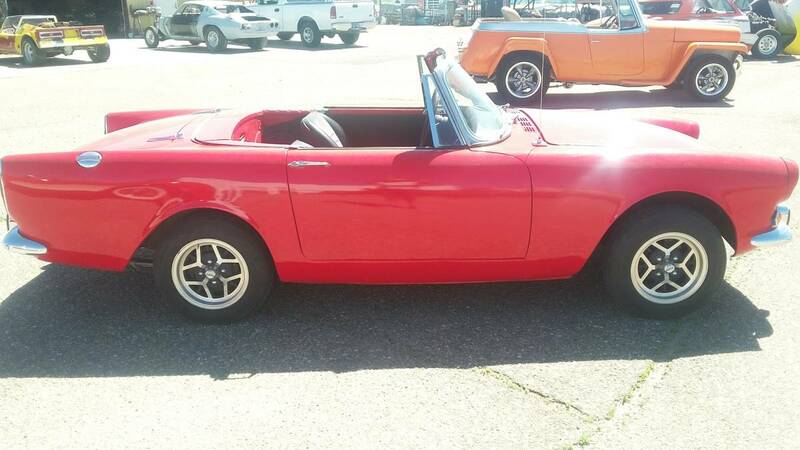 Find this 1965 Sunbeam Alpine offered for $10,000 in Albuquerque, NM via craigslist. Tip from FuelTruck. A few years ago I wouldn't have raved about a $10k (gasp!) Alpine that is missing some trim..but prices of the Tiger have shot through the roof and the little brother dragged along...probably because of the number of folks who have created Tiger-clones has turned a nice Alpine into something shockingly rare. Some interesting stuff going on in the background.